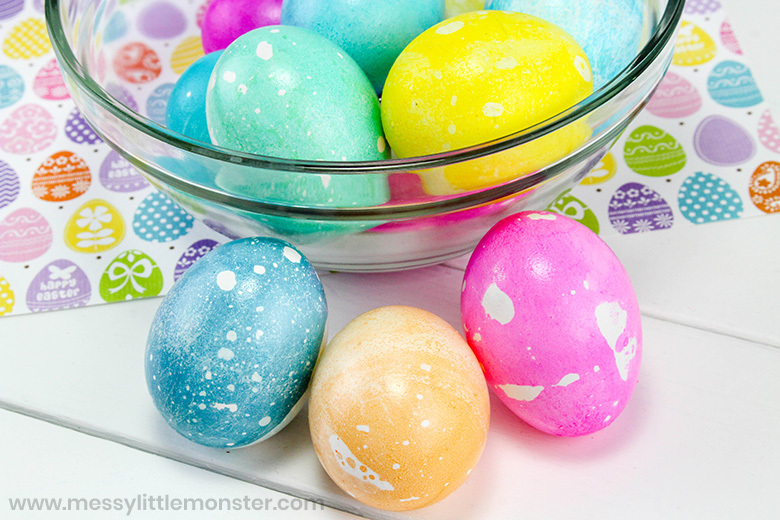 Dyeing Easter eggs is a fun Easter tradition that the entire family can enjoy together. And while kids of any age can take part in the egg dyeing fun, there are a few ways to make the process a little easier. 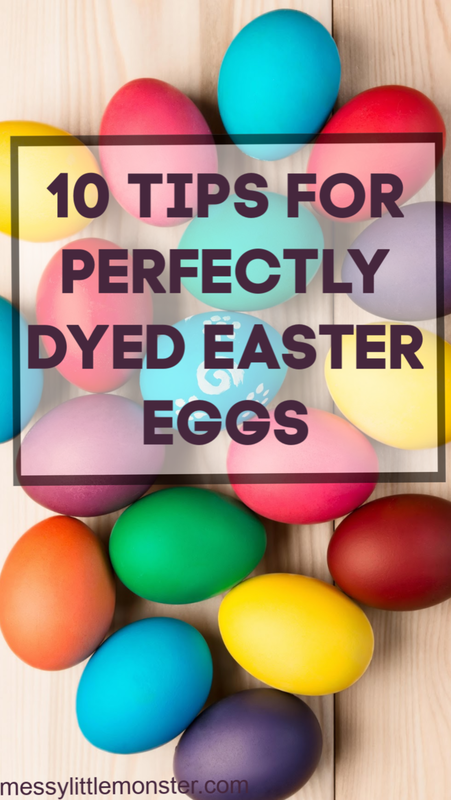 Before you start dyeing your Easter eggs this year, keep these 10 tips for perfectly dyed Easter eggs in mind. Cracked eggs are difficult to dye, so making sure to protect your eggs from cracking as they cook is essential. Adding vinegar to the water as your eggs boil will help prevent the shells from cracking as they cook. Another simple way to prevent your eggs from cracking while they cook is to use a lemon. Simply cut the lemon in half and rub the cut side on each of the egg shells before boiling them to create a protective layer around the shells. If you boiled your eggs in advance and aren’t sure which eggs in your refrigerator are cooked, spin the egg. If it wobbles, it’s not cooked. If it spins evenly, it has already been boiled. Be sure everyone washes their hands before and after dyeing your Easter eggs. Washing hands before dyeing the eggs will protect the shells from the oils on your hands. And washing after will help remove bacteria from your hands that may have transferred from the eggs. There’s no need to purchase a boxed egg dyeing kit. Make your own dye by mixing ½ cup boiling water with 1 teaspoon white vinegar and a few drops of food coloring. When mixing the dye, be sure to pick the right container. You’ll need a cup that is deep enough to allow the whole egg to be covered with dye and wide enough to be able to reach into to grab the egg when it’s finished. Disposable plastic cups are perfect and they make clean-up so much easier. Make removing your eggs from the dye a little easier by placing the egg inside a whisk before you place it in the dye. Then, after you remove it, simply pop the egg out of the whisk. After the eggs have been dyed, place them on a wire cooling rack to dry to prevent them from becoming discolored on one side. 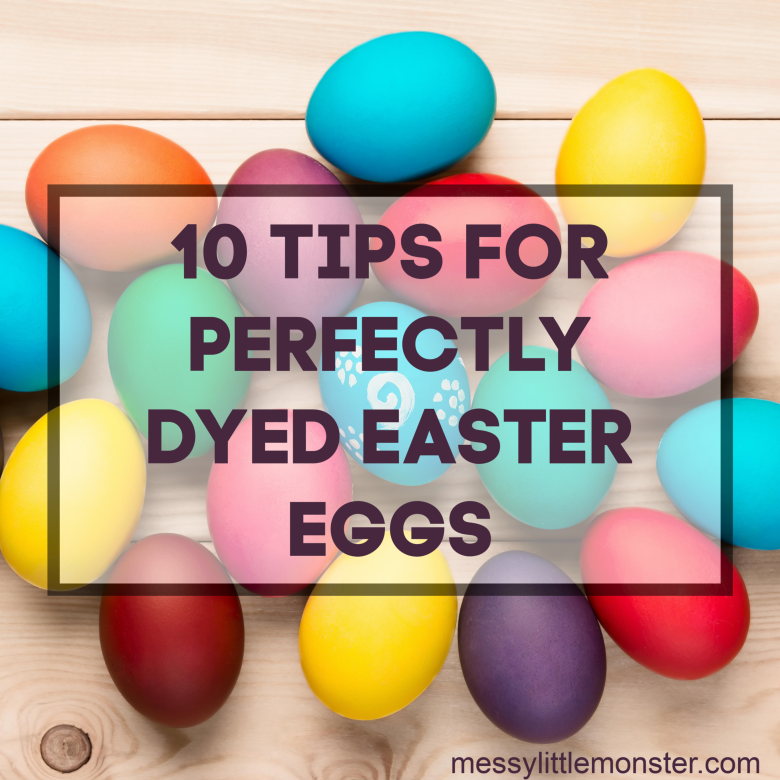 Dyeing Easter eggs can be messy, no matter how careful you are. Be prepared to clean up spills and drips by having a roll of paper towels on hand. Easter egg dye can be messy. If you stain your hands or table, mix a paste of salt and vinegar and rub int on the stain to easily remove it.